Below is a sampling of the hundreds of positive provider reviews that Family Care, Sabrina Mentock, MD, Elaina Lee, MD, and Sarada Schossow, PA-C have received from online review sites (in random order), as well as the results from our Customer Service reviews. You can also browse some of the more popular provider review sites yourself and read the rest of the reviews patients have left on our practice. If you enjoy your experience at Family Care, we would love for you to share your opinion with the world by writing a review of your own! Since 2013, Family Care has used Square for credit card processing, which enables patients to receive email and text receipts automatically with every transaction. Included in the receipt is the option for the patient to leave feedback on their transaction by indicating if they were “Satisfied” or “Not Satisfied” with the business. 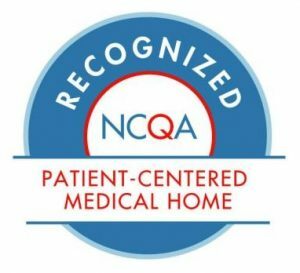 As of 10/9/2017, 1610 of the 1615 patient responses (99.7%) we received had indicated that they were “Satisfied” with their services at Family Care. The results of our survey are shown below, where patients were asked to indicate the primary reason why they were “Satisfied” with their services. Dr. Lee is wonderful. She spends a great deal of time getting to know you and has a fantastic bedside manner. She always asks after my children, by name, even though they aren’t her patients. I always leave her office feeling that she has truly listened to me. Dr. Mentock and Dr. Lee are the best! They always take the time needed to fully understand my needs and to make sure I understand my treatment plan. Both are very good at answering any questions and are willing to make referrals when needed. I see Dr. Lee a few times a year. She is always very thorough with her questions and exams. My appointments have never felt rushed. So far I have been seen on time or within a few minutes of my appointment time. Both [doctors] are excellent and I highly recommend them. What a great practice! They really take care to get to know their patients as people. Initial appointments are scheduled for a full hour to have time to get to know you – not just your medical history. This was just what I was looking for when I contacted them. Dr. Lee is great – really worked to partner with me in health care. I can’t thank you enough for helping [my son] today. You guys went above and beyond. I can’t thank you enough for being calm, not losing your patience with [my son] or us and for the wonderful care. I am just so thankful you guys were so patient. Very personable, professional, and great facilities. Highly recommended. Very professional, clean and efficient. Dr. Lee and her PA are patient and take time to listen. Front staff is friendly and courteous. Ample parking. Came in for preventative care visit. Dr. Mentock is caring and concerned about my health, without being pushy or condescending. This is a rare and wonderful trait as a health care provider. I love this office. It’s quiet, clean and the staff is professional and attentive. We absolutely love Dr. Lee. I can’t recommend her highly enough and I recommend her to everyone who asks. We work on solutions together. My son loves her and she’s always gentle and kind with him. I have been a patient of Dr. Mentock’s for more than 11 years now. Dr. Mentock is really an outstanding doctor. I’ve found that she really takes the time to listen to her patients, and since her practice is small, you don’t find yourself shuttling between 6 or 7 doctors (as I’d found to be the case with my last practice). I’ve never experienced a GP office that takes as much care as Family Care does to know and listen to each of its patients. [Dr. Mentock] is patient, she listens, and does not try to hurry you out of her office. She is very thorough and treats you like a person. She never tries to rush through the day. Her office resembles a home – it is the most comfortable waiting room I’ve ever been in. [Dr. Mentock] is very professional, willing to explore all possible options to deal with any health issue that you may run into, and she is very knowledgeable and very experienced. They are fantastic. Dr. Lee is fantastic. She has been my primary physician going on 3 years and I really appreciate her manner and patience. She is very interested and asks about my life “outside”, hobbies, activities and the like. She is thorough and gives detailed explanations. I would and do recommend her to anyone who asks. She’s the best doctor I’ve had. This is a fantastic practice. The office is modern and clean – the office setting is purposely designed to look like a large comfortable country house. I have rarely spent more than 10 minutes in the waiting room. Yet, Dr Lee and Dr. Mentock spend time with their patients and are very thorough. Their personalized medical care is exceptional. Dr. Lee is hands-down the most patient-oriented doctor I have ever been to. I’ve had primary care docs in the past who were very good doctors, but they’ve all been in the Duke system and they simply don’t have the time to spend with you. I cannot recommend Dr. Lee highly enough. Melissa is the BEST blood taker in the Triangle! She gets it right every time, on the first stick, and it doesn’t hurt or bleed or bruise. Yay Melissa! Yay Dr. Mentock! I have never had a doctor as thorough and caring as Dr. Mentock. She takes all the time to listen as you need. She is current and up-to-date on the latest medical news and treatments…and her offices are the most beautiful I have ever seen! The Best Service I Have Ever Experienced. Very attentive, informative, and down to earth staff that you would love to talk to. In addition, you can feel the healing when you enter the building. There was no cold shoulder, rushed, or uncomfortable feelings. Before you visit any other faculties in the Triangle Area, if would be beneficial to look into this practice first. Dr. Lee and her staff are amazing. When you call, an actual person answers the phone, not a machine. I didn’t even have to tell them who I was when I went in, they remembered me! The office is always clean and orderly. She’s a great doctor.